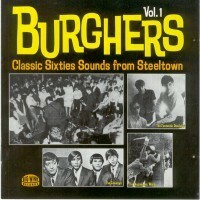 Reprint of obscure Pennsylvania 60's garage/spych comp that first came out in the early 80's. Incl. Swamp rats, Peter's Pipers, Hides, Fenways, Grains of Sand, Marshmallow Steamshovel, Napoleonic Wars, and The Time Stoppers.